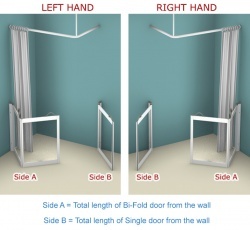 Corner Access Half Height Shower Doors - Contour Showers. 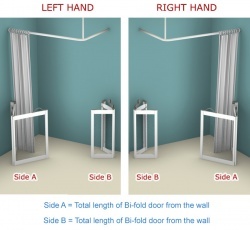 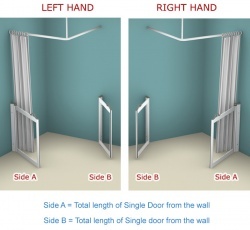 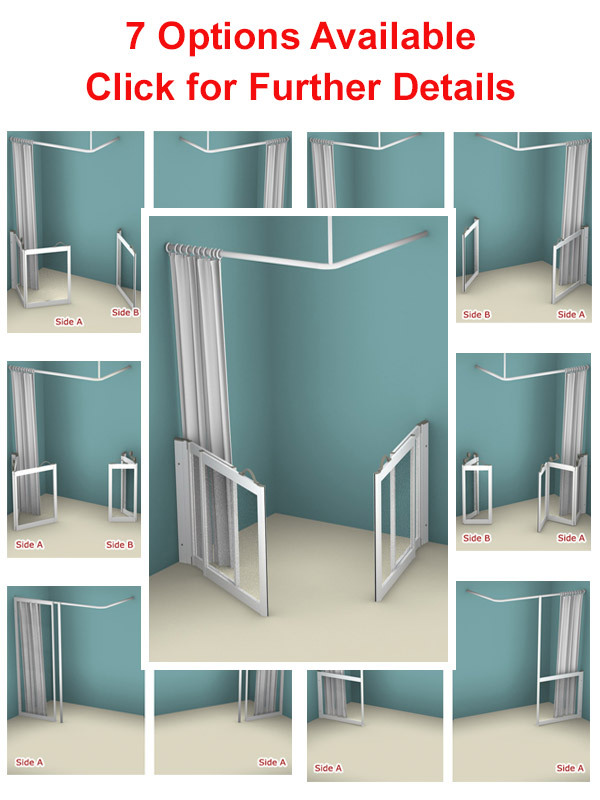 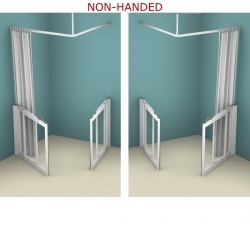 Corner Access shower doors with white frames with PET glazing available in 7 configurations. 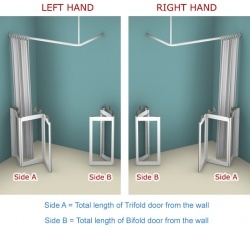 Half Height Corner Access Shower doors and shower screens enable easy access assisted showering. 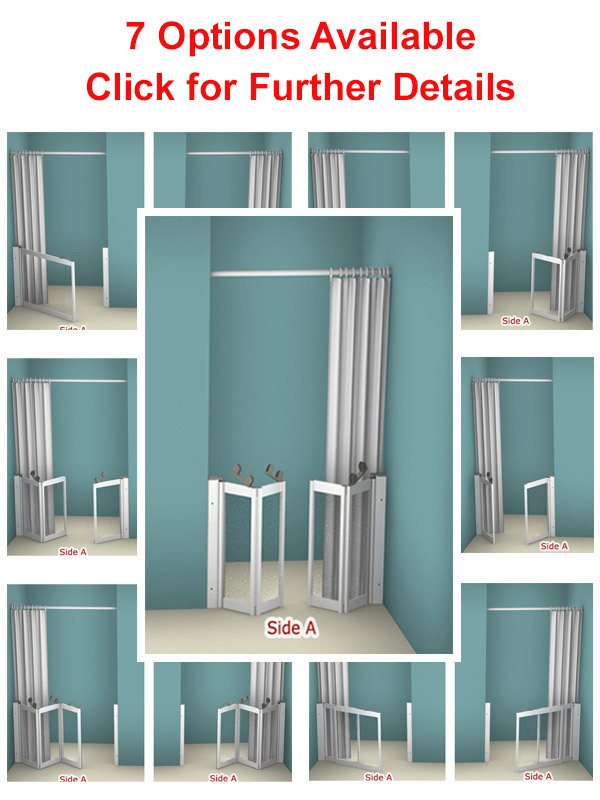 Made to measure service with a quick 24 hour delivery. 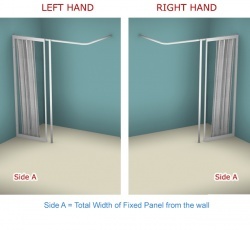 Full height fixed panels also available on request. 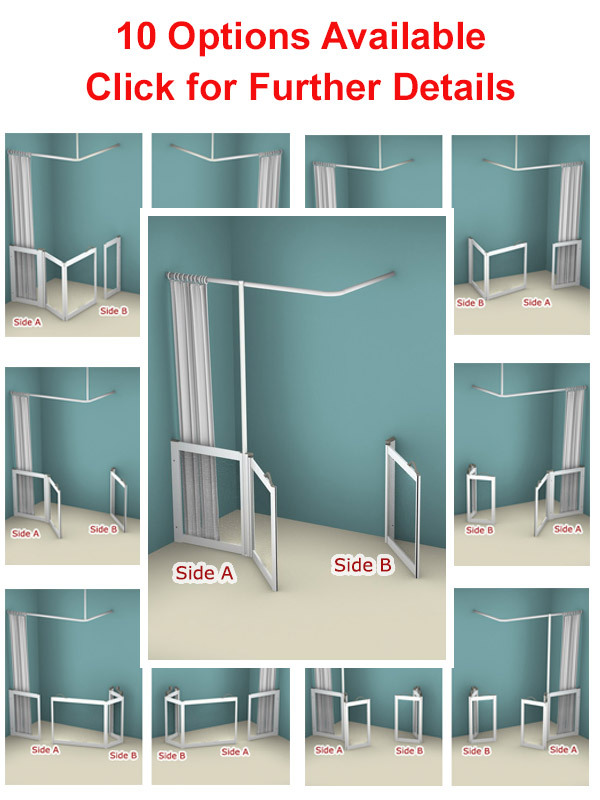 We are able to adapt any existing configuration to meet your needs.